OSIsoft, a global leader in operational intelligence, is pleased to announce that Gary Wong, OSIsoft’s Water Industry Principal, has been nominated for the prestigious 50 Most Impactful Leaders in Water & Water Management Award by the World CSR Congress. 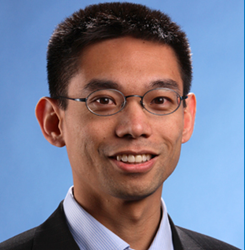 Gary Wong leads OSIsoft’s global water practice and has extensive international experience providing sustainable, strategic and cost-effective business solutions, particularly in the water industry. The World CSR Congress is a non-profit organization that promotes the value of corporate social responsibility around the globe and hosts an annual world summit in Mumbai, India to salute leaders who contributed to social change in the society. OSIsoft has been working with water utilities around the globe for decades to help them better serve their communities through sensor-based data. OSIsoft’s PI System captures operational data from sensors, machinery and other devices and turns it into rich, real-time insights to reduce costs, make critical business decisions, and enhance products. Over 150 water and wastewater utilities rely on OSIsoft’s PI System to manage operational data for over 250 million customers. Maynilad, the water company serving Manila, was able to recover 640 million liters a day that otherwise would be lost through leakage and reduced the cost of some repairs from $1.7 million to $1,250. Yorkshire Water, which produces 1.3 billion liters of water a day, uses PI System data and meter data to more quickly identify and fix water leaks. Leakage events are now detected 1.5 days before reaching the threshold, a full 4.5 days faster than earlier. MPWiK, one of the largest water utilities in Poland, is employing predictive analytics to better synchronize water flow and pressure with city activities. White House Utility District pinpointed a leak spilling nearly 147 million gallons a year, reduced its costs by over $1 million and postponed $15 to $20 million in upgrades. OSIsoft is dedicated to helping people transform their world through data. Over 1,000 leading utilities, 95 percent of the largest oil and gas companies and more than 65 percent of the Fortune 500 industrial companies rely on the PI System to get the most out of their businesses.